Hyundai has revealed that the NEXO has cleaned more than 900kg (918.75kg) of air on London roads during Clean Driving Month. That is the same amount of air that 1 adult breathes in 60 days or 1,455 adults breathe in one hour. 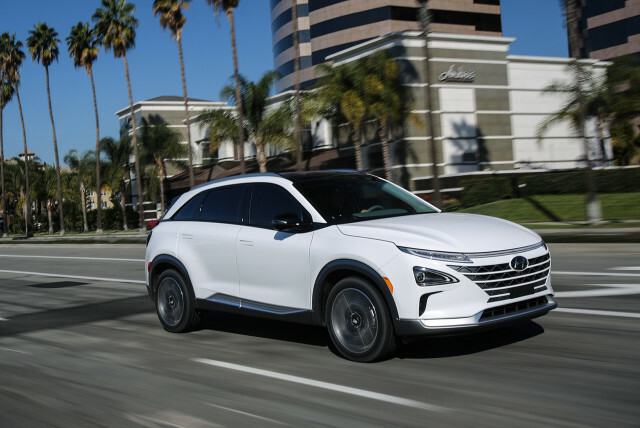 Hyundai NEXO hydrogen fuel cell electric vehicle took to the streets of London across 31 days culminating in a weekend where the public had the opportunity to get behind the wheel. With a total of 350 miles driven overall, the car – which actually cleans the air as it drives – was driven along London’s dirtiest driving route throughout the month. The route was mapped in partnership with University College London who reviewed open source data from a King’s College London pollution study to look at Nitrogen Dioxide (NO2) levels and Particulate Matter (PM) levels with particularly congested roads including Marylebone Road and Park Lane. The NEXO, which is available next year and emits nothing but water, has an advanced air purification system which filters 99.9% of very fine dust (PM2.5) which is then retained in the NEXO and not expelled back into the air. NEXO’s air filtration system uses three stages of filtering. Firstly, outside air passes through an advanced air filter where 97% of ultrafine particulates alongside harmful gases such as Sulphur dioxide and Nitrous dioxide are filtered and retained. Remaining particulates are then absorbed on the surface of the humidifier in stage two and finally the air reaches the Gas Diffusion Layer within the fuel cell stack. This layer is made of carbon fibre paper with a microspore structure allowing for further filtration – the resulting air released has over 99.9% of ultra-fine particles and toxic gases filtered out. From 2019, the new NEXO will be available to consumers and via selected lease companies. Prices will be announced shortly.